as a Crown Colony of Great Britain. The “Golden Age” begins Lt. Colonel Richard Kane and his legacy. There were no paintings or likenesses produced during his lifetime. 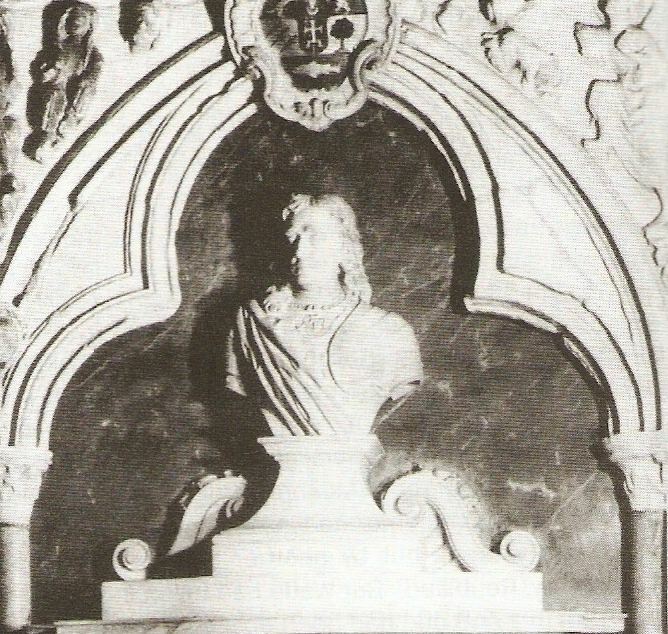 The bust by John Michael Rysbrack Installed in Westminster Abbey in 1740. Under the Royal Appointment of Queen Anne, Richard Kane was chosen because of his outstanding military career alongside her father King William III in various battles in Canada, the Low Countries and the famous Battle of the Boyne and his diplomatic skills had been well noticed. Kane was born in the year 1662 as Richard Ó´Cahan in Duneane a village near Carrickfergus, County Antrim, Ireland (which was one country at that time). He was a Protestant and decided to Anglicise his name to Kane in documents when he entered military service. On arrival in Menorca Richard Kanes´s first duty on behalf of Queen Anne was to call together the people of the Island and request them to submit their recommendations for the future of Menorca and for the betterment of all the inhabitants. It was stipulated by Queen Anne that quote “Their Civil and Religious Rights should be recognised in the best and most perfect manner possible” unquote. This was the first time in history that the Menorcans were invited to submit their recommendations on their future directly to a ruling power and has never been repeated since by either the French or Spanish. Following these talks, councils were formed in Ciutadella and Mahón comprising 4 Magistrados and 12 Councillors and 3 Magistrados and 12 Councillors in each respectively. It was through these bodies that Richard Kane was able to convey his instructions and impose his authority on the people. He proved himself a fair disciplinarian, the troops were kept well ordered and any misdemeanours were severely punished. They had to respect the people as equals and not as conquered. He allowed all religions to be recognised but did initially have some animosity from the hierarchy of the Catholic church especially when he outlawed the Inquisition (a hundred years before was to happen in the rest of Spain). However they very soon realised how fair and just their new “governor” was and, with a few dissenters, thereafter worked with him to pursue the betterment of the lives of the people. Richard Kane had three major concerns amongst his many. However those of greatest importance which deserve mention were... 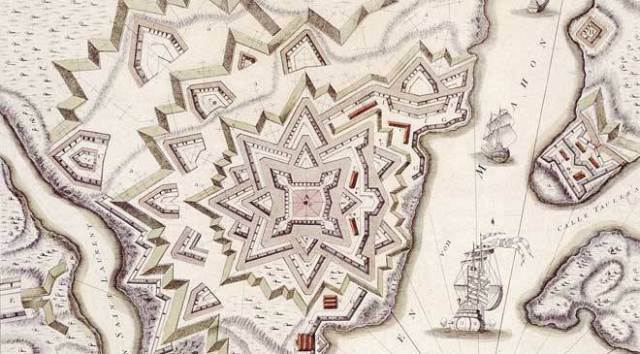 The better defence of Menorca. The improvement of the prosperity of the people and their general welfare which, in part, relied on better Transport links. 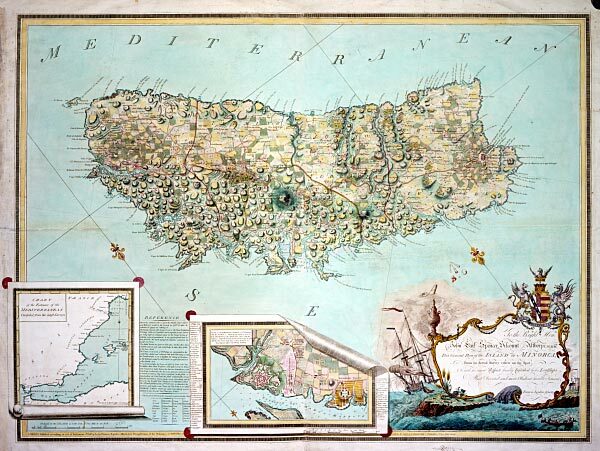 When the British arrived on Menorca a census was carried out on the 20th April 1713 which shows the population numbering 16.046 in total, with almost equal numbers in the two cities of Ciutadella and Mahón , (4580 ea.) The rest scattered through the rest of the towns and rural communities. The Population exploded when almost 7.500 Troops and Marines arrived with the first fleet. These were followed over the following year by carpenters, blacksmiths, innkeepers, brothel keepers. Import/export merchants and all the many wives and children of the troops. All those that it was usual in those days to follow an army around. This almost tripled the population and Menorca could not sustain that number of people. The Menorcans had been largely impoverished, subsistent peasant farmers growing, in the main, pumpkins and melons, not particularly nutritious, and living on a very unhealthy diet. The indigenous cattle gave little milk and even less meat as they were badly nourished. There were some poultry but eggs were a luxury. Horticulture was very dear to his heart and Richard Kane required the farmers to establish orchards and vegetable gardens and start growing vegetables such as cabbages, turnips, carrots, beans, peas and onions etc. The whole population was advised to grow vines, apples (pomes dén Kane), plums---in a market one day he states “I never saw prunes (plums) as large”, the variety became known as Neveso. Figs and even blackberries were also introduced in order to make the island self sufficient. He had already shown by example with the draining, by the troops, of 6 areas of low lying marsh land to make market gardens as at Hort de Sant Joan (St John´s Gardens) at the inland end of Mahón Harbour alongside the start of the Fornells road. He also dramatically changed agricultural practise with the introduction of new breeds of poultry, the saddle back pigs from Sardinia, and, most importantly for the future, the Frieson cattle. With the shortage of grazing and fodder for these latter he arranged the introduction of Trifolium Pratense. A type of red clover called Trébol (Trefoil in English) Found to be highly nutritious for ruminating animals. In Richard Kane´s first surveys of Menorca he states the Island being crisscrossed by a myriad of lanes and cart tracks, so badly maintained since being built by the Moors some 10 centuries earlier that they were not even wide enough for two horses side by side let alone a horse and cart. Many of the tracks were so deeply rutted by cart wheels over centuries of use that during the rainy months they became waterlogged and traffic came to a standstill. Not only was it essential to transport the food from the farms to the main centres of population but also, importantly, to move the military from one end of the Island to the other rapidly in case of an invasion by France or the Spanish followers of Philip. He therefore ordered a road be built from one end of the Island to the other. The road on which construction commenced in 1714 was designed to very exacting specifications. An amazing feat of engineering as it was completed by 1720 (just 6 years) using British troops augmented by labourers from the various towns and villages. Kane took his engineers into the countryside and drew up plans for the route of the new “English Royal Road”. His specifications are worthy of studying for their detail and the fact that 3 centuries later it is still in use (the length from Mahón to Mercadal) shows how well it was originally built. HE FAMOUS UPSIDE DOWN MAP OF MENORCA. SHOWS THE ISLANDS TERRAIN, THE SPECIFICATION AND THE ROUTE OF CAMI DE´N KANE. Once constructed the road afforded improved transport links and opened up the whole island to trade. 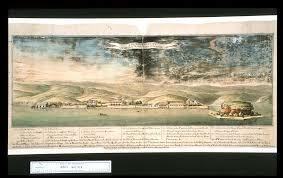 This greatly helped to increase the prosperity of the people and the towns and rural communities became less insular. On its 250 anniversary in 1986 that stretch of the road from Mahón to Mercadal was restored to its present condition and asphalted A marble monument to Richard Kane was designed in 1919 and erected in 1922 next to St John´s Gardens on what was part of the original Cami D´en Kane. However this monument to Richard Kane was moved from its original situation on the opposite side of the road to its present position at the side of the Fornells road when the Island Council started the first stage of widening and reconstruction of this road in 1991 in order to make it suitable for tourist traffic. Always aware of an attack by Britains arch enemy France the beefing up of the defences had to run parallel to all the foregoing. Some work had already started on the enlargement of the 16th century St. Philips Fort before the arrival of Kane but now he had plans drawn up to hugely increase the size and to make it into what was eventually to become, one of, perhaps the largest British fortress in the world.. Work began on the building of St Annes Fort (named after Queen Anne) at the opposite side of the harbour entrance (what is left is now the oldest part of the fortress of Isabel II at La Mola) and also on the ancillary fort of Filipet, the small fort at the end of the Lazareto peninsular, from where chains could be dragged from one side of the harbour to the other to impede enemy ships from entering. With whole fleets arriving at any time the Royal Navy was now calling for larger facilities. Richard Kane had always thought that the arsenal originally built in 1669 positioned under the cliffs of Mahón was a danger to the residents of the town containing powder and other explosive material. It was also much too small for purpose. ADMIRAL BAKER COMMENCED CONSTRUCTION IN 1715. Mediterranean Fleet was eventually built. Although most of the content of this article has been researched personally I would like to acknowledge the biography, “The Life of Richard Kane” (ISBN 84-606-3275-X), written by a good friend of us all in Menorca, Bruce Laurie (deceased). Should anyone want the full detailed story of Richard Kane then this must be it. Chapter 4 titled “Life Continues to Improve under the Union Flag“, in the September edition of Roqueta, will continue with more of Richard Kane´s achievements up until his death and also the British period up to and including the French invasion of 1756.